Antibiotics won’t resolve a viral infection. And their misuse may contribute to antibiotic resistance. But, antibiotic resistance may not be the only problem. According to scientists from the Washington University School of Medicine in St. Louis, antibiotics deployed against a viral infection may weaken the immune response to subsequent viral infections. Using a mouse model of West Nile virus, the scientists demonstrated that oral antibiotics not only alter bacterial abundance and community structure in the gut, they also impair the development of optimal antiviral T-cell responses. 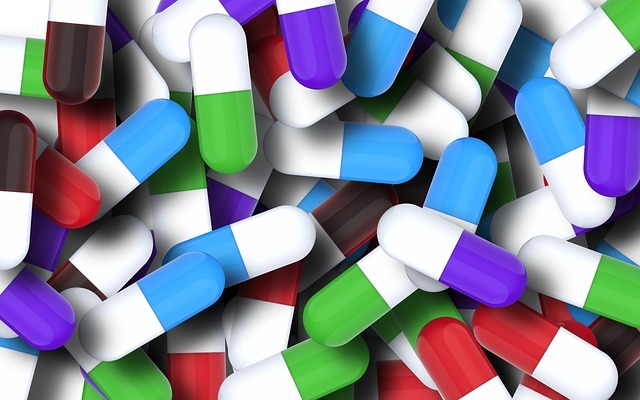 Detailed results appeared March 27 in Cell Reports, in an article entitled, “Oral Antibiotic Treatment of Mice Exacerbates the Disease Severity of Multiple Flavivirus Infections.” The article suggests that antibiotic use can account, at least in part, for the great differences in disease severity that are observed when people are infected by viruses. West Nile virus is not unusual in its ability to cause disease ranging from mild to severe. Many viral infections cause no symptoms in the majority of people, mild to moderate disease in some, and severe disease in an unlucky few. But why people respond so differently to the same organism has never been entirely clear. Human genetics doesn't explain everything, and neither does the genetic makeup of the microbe itself, although both play a role. Antibiotics kill off members of the normal bacterial community and allow some potentially harmful ones to overgrow. Since a healthy immune system depends on a healthy gut microbiome, the scientists reasoned, antibiotics may be hobbling the immune system, leaving the body unprepared to fight off a subsequent viral infection. The researchers gave mice a placebo or a cocktail of four antibiotics—vancomycin, neomycin, ampicillin, and metronidazole—for two weeks before infecting the mice with West Nile virus. About 80% of the mice that received no antibiotics survived the infection, while only 20% of the antibiotic-treated mice did. Subsequent experiments showed that the mice stayed at high risk for more than a week after the antibiotic treatment ended, and just three days of antibiotic treatment was enough to raise the mice's risk of dying from West Nile infection. To look more deeply into how increased susceptibility to viral infection may be linked to changes in gut bacteria, the researchers tested the four antibiotics separately and in combination. Treatment with ampicillin or vancomycin alone made the mice more likely to die of West Nile, while neomycin did not. Metronidazole had no effect alone, but it amplified the effect of ampicillin or vancomycin. Further, different antibiotic treatments led to changes to the bacterial community in the gut that correlated with vulnerability to viral infection. The researchers tested immune cells from mice treated with antibiotics and found that they had low numbers of an important immune cell known as killer T cells. Normally during an infection, T cells that recognize the invading virus multiply to high numbers and play a critical role in controlling the infection. Mice treated with antibiotics generated fewer such T cells. The weak T-cell response is likely a byproduct of the changes to the bacterial populations caused by the antibiotics, not a direct effect of the drugs on the immune cells. For one thing, the mice still had trouble fending off viral infection a week or more after they stopped receiving antibiotics. For another, transferring gut bacteria from mice given antibiotics to other antibiotic-treated mice made the recipients even more vulnerable to viral infection, suggesting that something in the bacteria was undermining the mice's immune response.